Lost in the crowd? 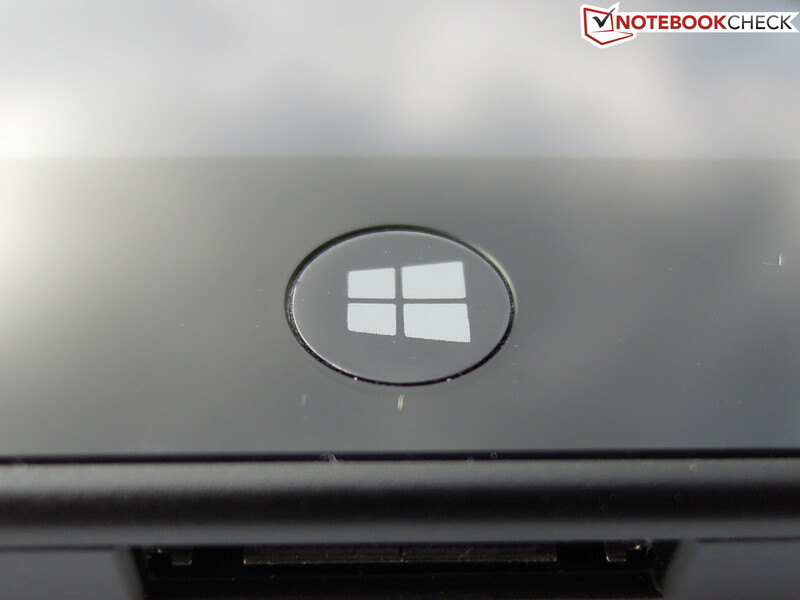 Tablets with Windows 8 and Intel Atom Z2760 chips are trickling into the market at the moment. 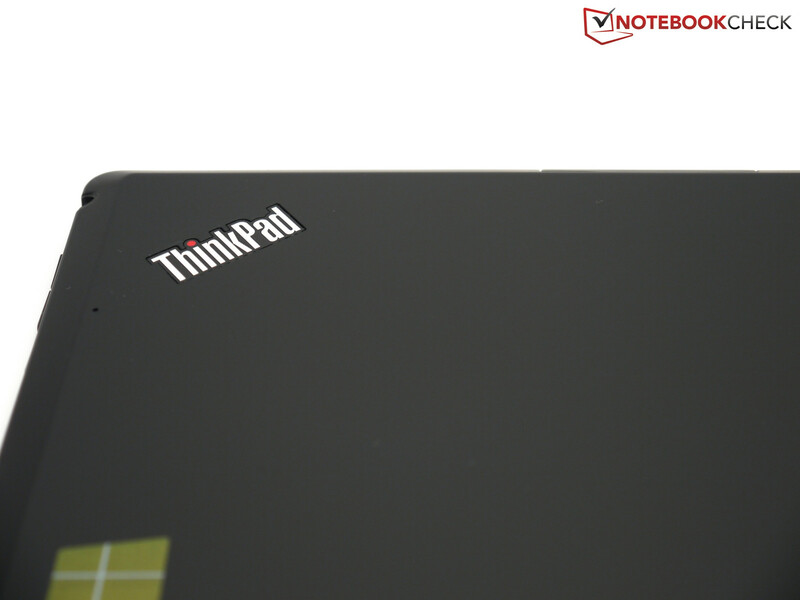 The specialty of the ThinkPad Tablet 2is the suite of security features for business customers. 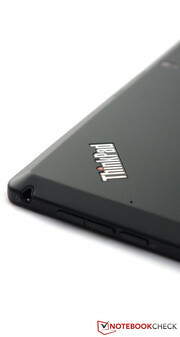 Is the ThinkPad Tablet also an alternative for consumers though? This is the second tablet with the ThinkPad logo; however, in the first series Lenovo was still using Android as its OS together with the ARM architecture. Now Lenovo seems to be looking for an opportunity with Windows 8 for business customers looking for a tablet experience without compromising on productivity. 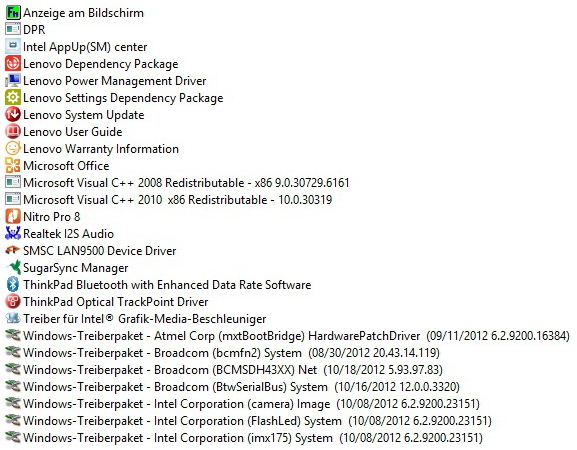 Hence, this version that runs Windows 8 and is powered by an Intel Atom chip. The advantage of such a combination is that now the legacy Windows applications can also be run. 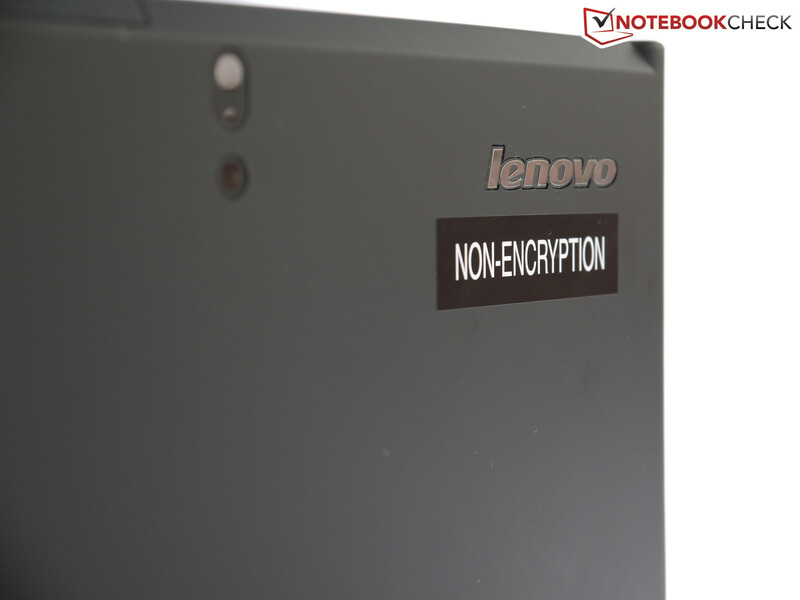 However, obviously Lenovo is not alone in this market segment. 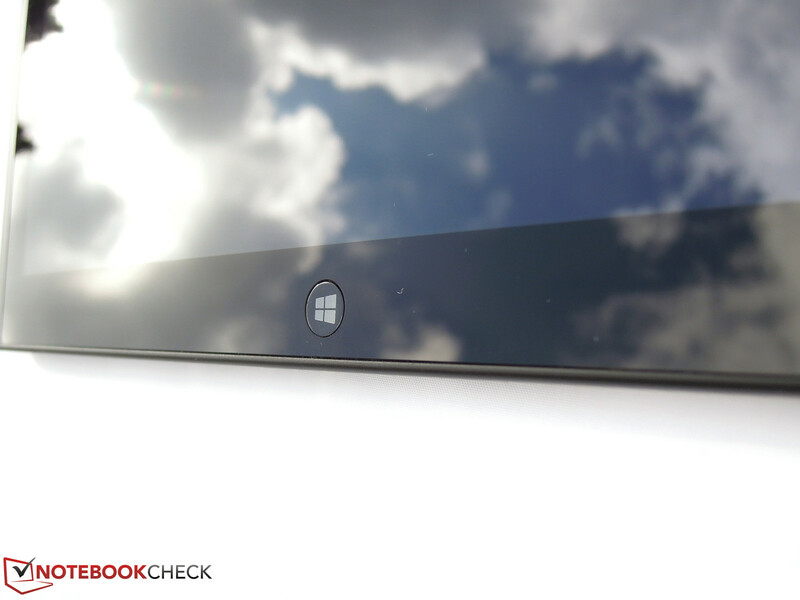 We have already tested many Windows tablets with almost identical hardware. Business tablets are relatively rare in comparison though. 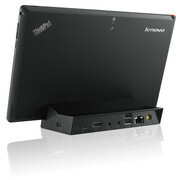 For instance, the Dell Latitude 10 and the Fujitsu Stylistic Q550 have gone through our test course. 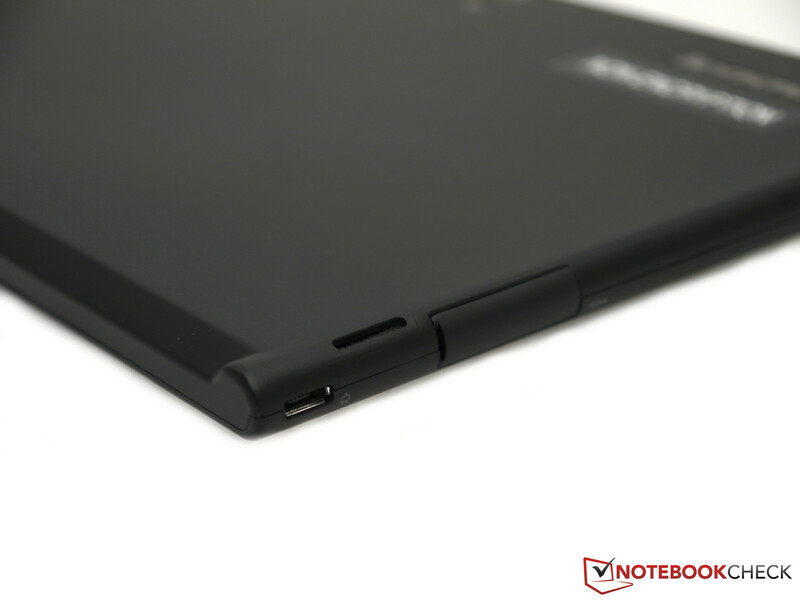 Can the business tablet from Lenovo keep up with the competitors? 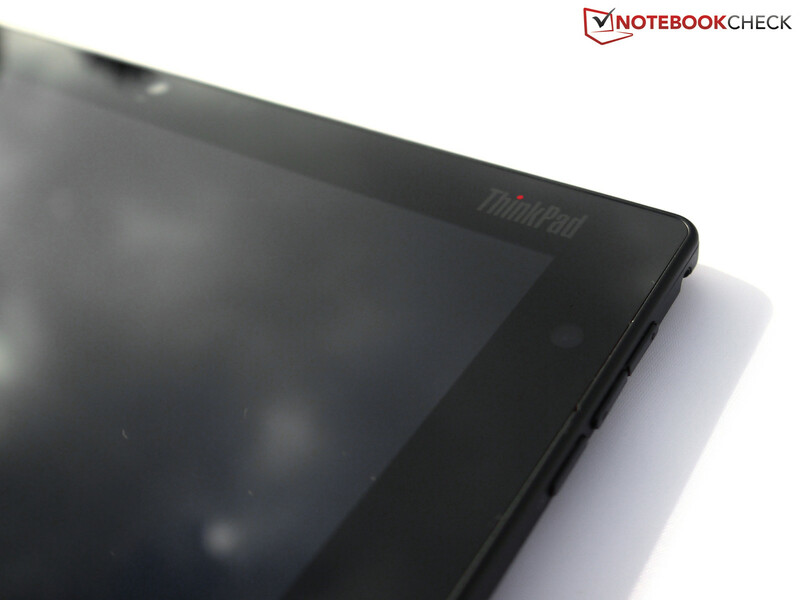 The Thinkpad Tablet 2 looks a lot like its notebook cousins, but is much thinner with a thickness of only 10 mm. In addition, the tablet only weighs 538 grams. 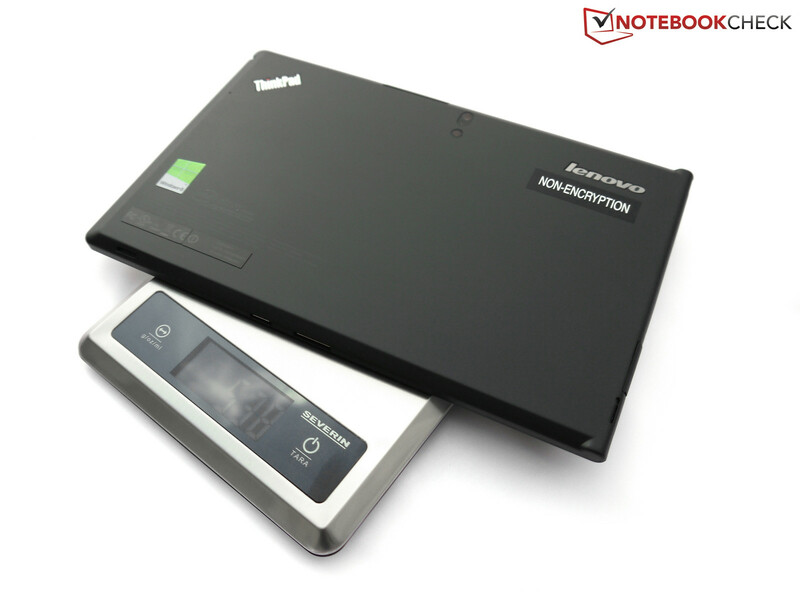 In comparison to the ThinkPad tablet from the last generation, it is smaller and about 200 grams lighter now. The choice of materials and color stayed the same though. 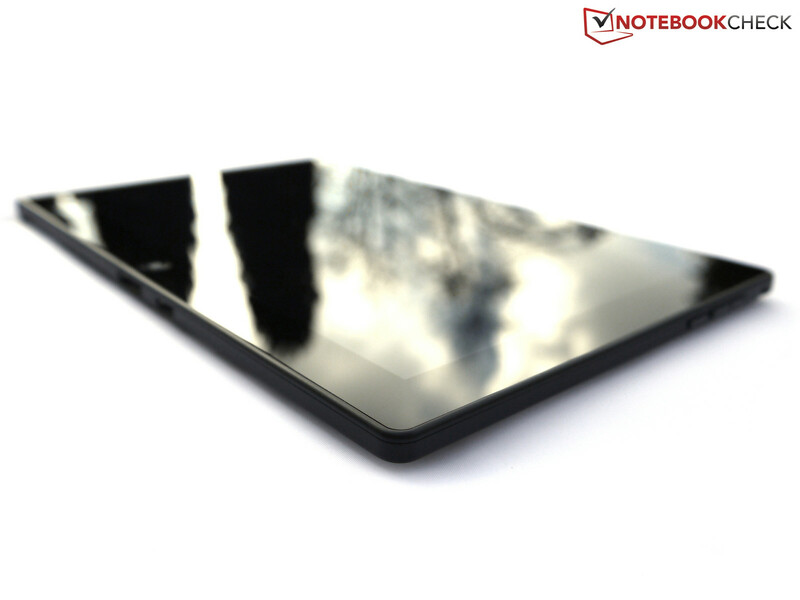 The back side is made of black plastic and rubberized so that the tablet provides the necessary grip. The front consists of scratch-proof Dragontrail-Glass from the company AGC (Asahi Glass Corporation). A small strip on the left hand side was not covered with glass, instead it was rubberized like the back side in order to provide better grip. The device is mostly edges, only on the left hand side is it a bit curved to provide the ability for the user to hold it comfortably. 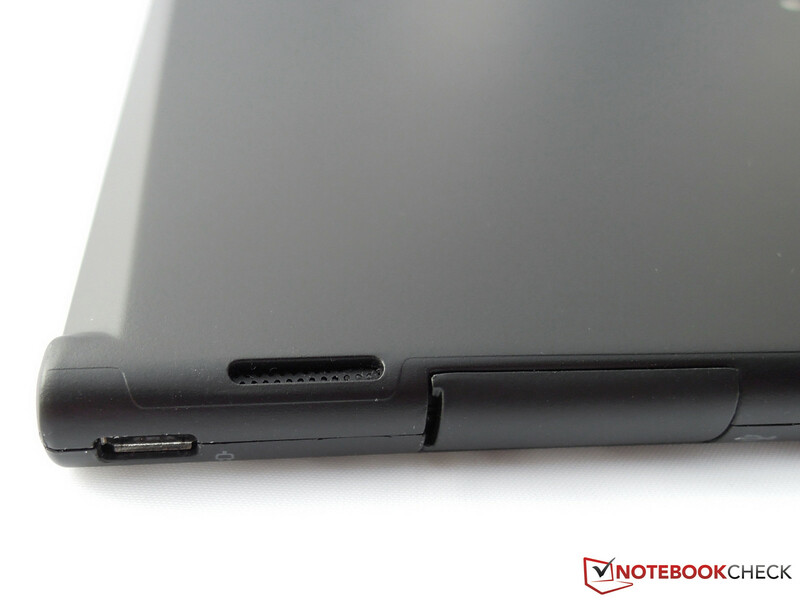 The tablet does not offer access to the battery or other hardware components due to a lack of maintenance hatches. 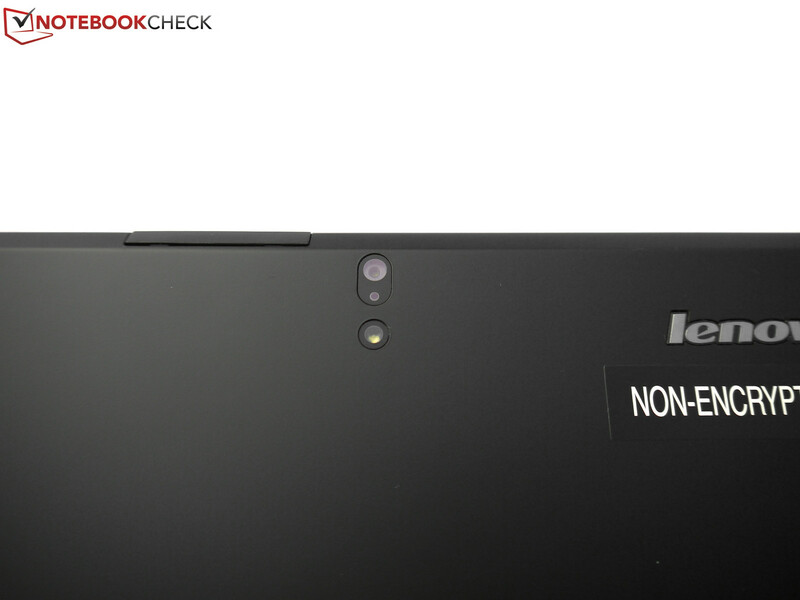 In terms of clearance Lenovo did not do such precise work though. For instance, the display glass is not built in properly everywhere and reaches over the frame a bit. Furthermore, the plastic bends a bit under pressure and the torsional rigidity is not convincing either. 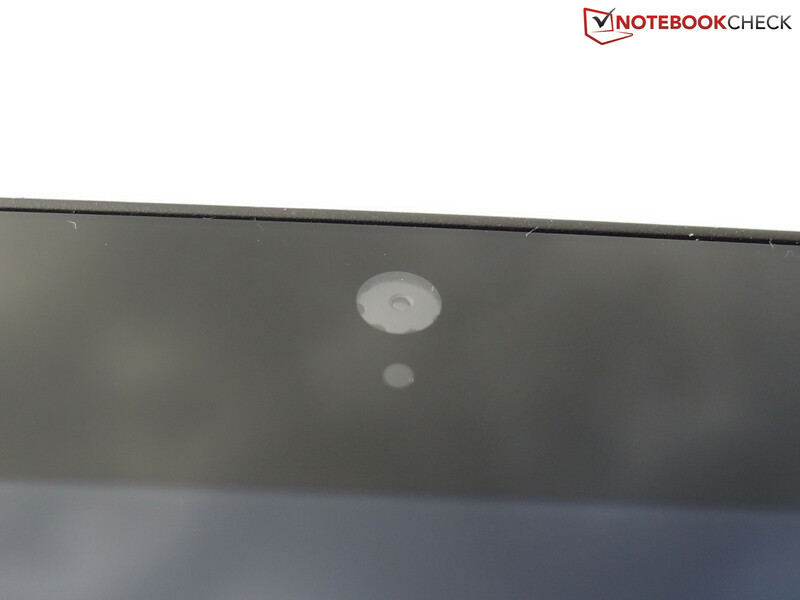 Although there are no ripples on the display under point load, there are other tablets that manage to provide better overall feel and case quality. The two competitors; the Dell Latitude 10 and the HP Envy x2 have better build quality in our opinion. The cross-platform benchmark, Geekbench 2 yields a score of 1257. That is just below the score of the Texas Instruments OMAP 4460 and right behind the Nvidia Tegra 3. 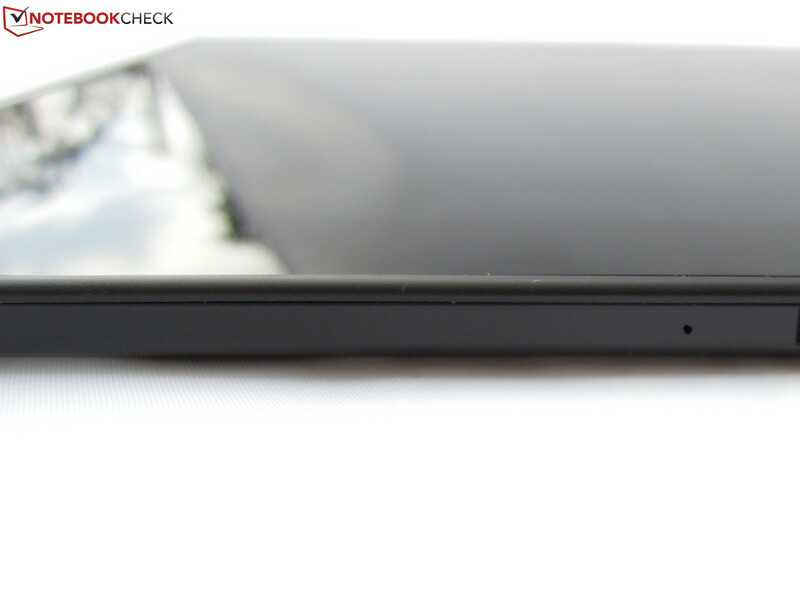 The single-core Atom Z2480 that is used in android smartphones is way behind with 21 %. 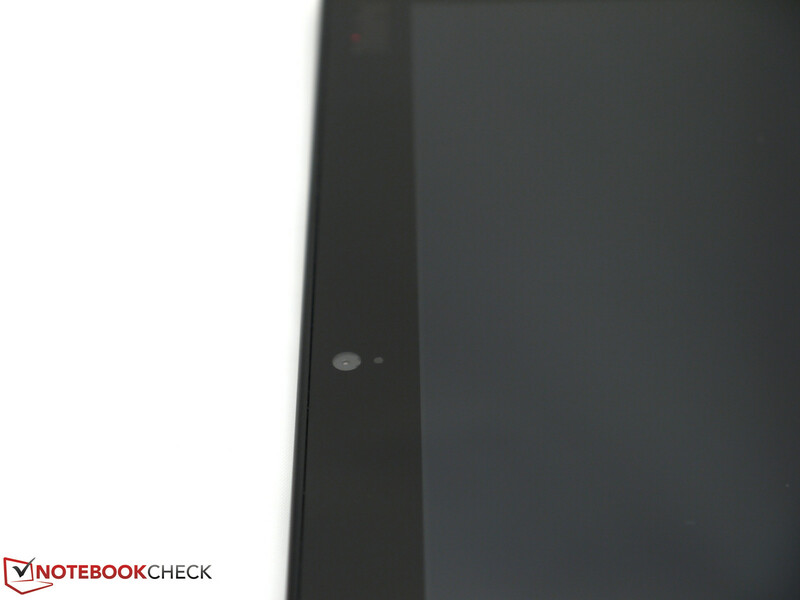 Our test device is at the top of all Atom powered tablets in the PCMark 7 test with a total of 1437 points. The slightly older Fujitsu Stylistic Q550 with the integrated Atom Z670 chip performs significantly worse with a 48% lower score. Thanks to its flash drive, the test device is on par with the Acer Aspire One 756 which has a more powerful Pentium chip, but a slower HDD. The performance is also convincing in many ways with short loading times and smooth controls. However, the system gets over-burdened quickly when dealing with complex tasks. For instance, the tablet is barely usable during an installation process. This multitasking weakness can have a small or a large impact depending on what the device is used for. 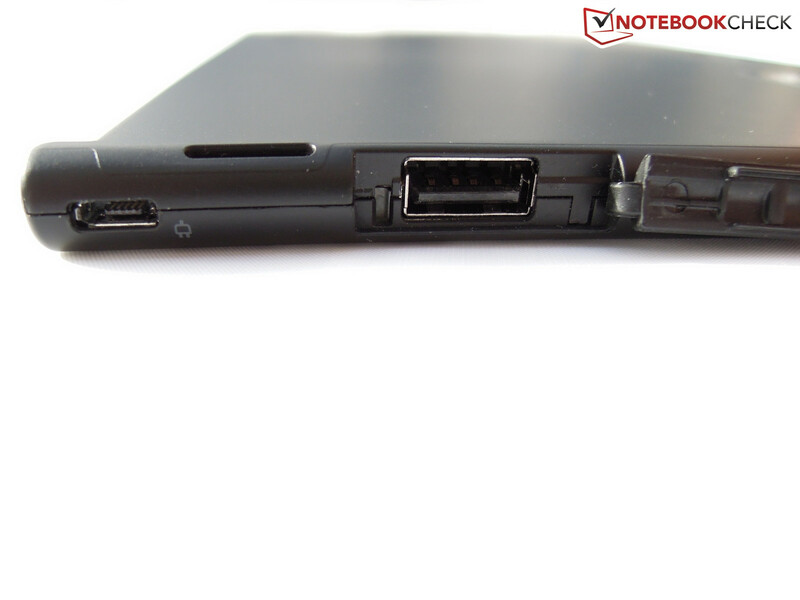 The Lenovo ThinkPad Tablet 2 uses a special multimedia card instead of a rotating hard drive. The card is space-saving and convinces with low power consumption. This makes the card ideal for tablets and smartphones. The eMMC flash drive has a total capacity of 64 GB. This corresponds to 49.8 GB net storage space of which there are 36.4 GB freely available after the first boot of Windows. The average transfer rate is low at 41 MB/s. However, the flash memory reaches about 25 times higher 4K values (read) and significantly faster access times in comparison to rotating hard drives. Hence, starting applications is much faster with this device. If one should at some point almost run out of memory storage, then one can extend it with up to 32 GB with a microSDHC card. Lenovo does not say whether microSDXC cards can be read as well or not. The graphics unit is based on the PowerVR SGX545 from smartphones and supports DirectX 9.3 according to Intel. We test the graphics performance with 3D Mark 06. 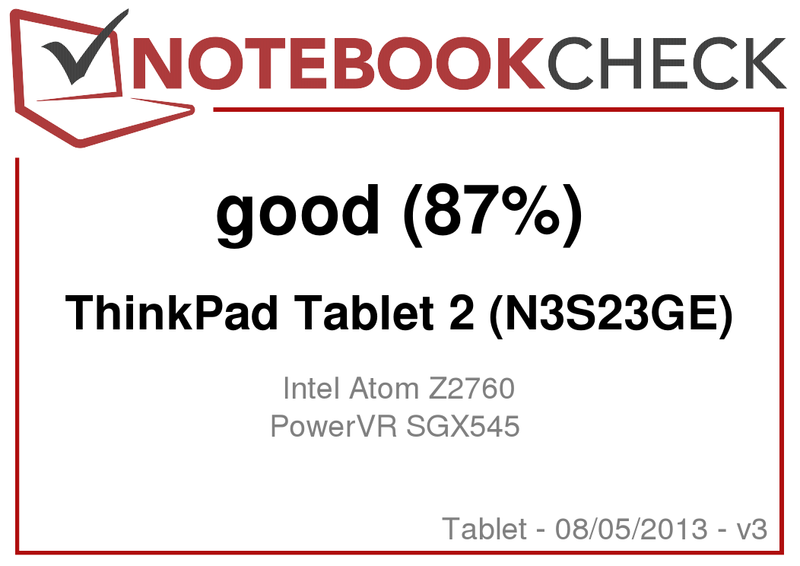 The ThinkPad Tablet 2 with a score of 369 points lies in middle of the table of the devices with PowerVR SGX545 GPU we have tested so far. The Dell Latitude 10 as a direct competitor is much better here with a 23% faster completion rate in the test. Netbooks with the AMD APU and Radeon HD 7310 graphic cards reach 1455 points, are about four times faster. Current game blockbusters cannot be played at all with the PowerVR SGX545. The frame rates are too low for smooth gameplay. Even FIFA 13 with its relatively low hardware requirements ends up as a slide show. The popular Indie games Braid and Bastion cannot really be played either with 15 and 6 fps respectively. We have also tested the browser game "The settlers online". It lagged a bit when moving around the map, but was playable on the device. The CPU usage lay at 40-60% in this case. In idle mode, there are no abnormalities on the top or bottom side of the device in terms of temperature. However, it looks different when the system is driven to its performance limits. Under maximum load, we measure a maximum temperature of 41.8 °C with Prime95 and FurMark. Although the heating is clearly felt, it is just warm to touch and not disturbing to the user. In the interior of the tablet, the temperatures are a bit higher though. A two hour stress test (Prime95 & FurMark) brought the system to its thermal limits and caused throttling. The clock fell to 900 MHz at a temperature of 75 °C. The clock rate fell by 100 MHz to 1.7 GHz after only 5 minutes. The temperature here was also 75 °C. A 3DMark 06 test right after produced the same result as in the "cold" state. Hence, users do not have to worry about any performance losses under normal workloads. (±) The average temperature for the upper side under maximal load is 32.2 °C / 90 F, compared to the average of 30.7 °C / 87 F for the devices in the class Tablet. (+) In idle usage, the average temperature for the upper side is 27.7 °C / 82 F, compared to the device average of 30.7 °C / 87 F.
The stereo speakers are convincing for tablet standards. The maximum volume is good and fills a 15 m² size room easily. The sound appears balanced and even some bass can be pressed out of the small speakers. However, if one values better sound quality, then one can also connect a sound system through the HDMI port or the combo jack. The Intel Atom Z2760 chip clearly proves again that x86 architecture is not redundant after all. In standby mode and when turned off, we measured 0.1 Watts each time. In idle mode, we measure 1.7 - 3 Watts, which may be a new best score. Even the iPad 4 consumes a lot more power at 2.6 - 8.4 Watts. The competitors with the same chip also do not consume much, even though they cannot match our tested model with their results of 2.7 - 6.2 Watts (Dell Latitude 10) and 2.7 – 5.9 Watt (HP Envy x2) respectively. The system consumes a maximum of 8.6 Watts when FurMark and Prime95 are run together. When the system is only running a game or 3DMark 06, then the consumption drops to 5.4 Watts. These values are also very good for a device of this class (Envy x2: 7.2 – 10.9 W; Latitude 10: 10.5 – 11.2 W). One of the most important criteria for the purchase of a tablet is the battery life. 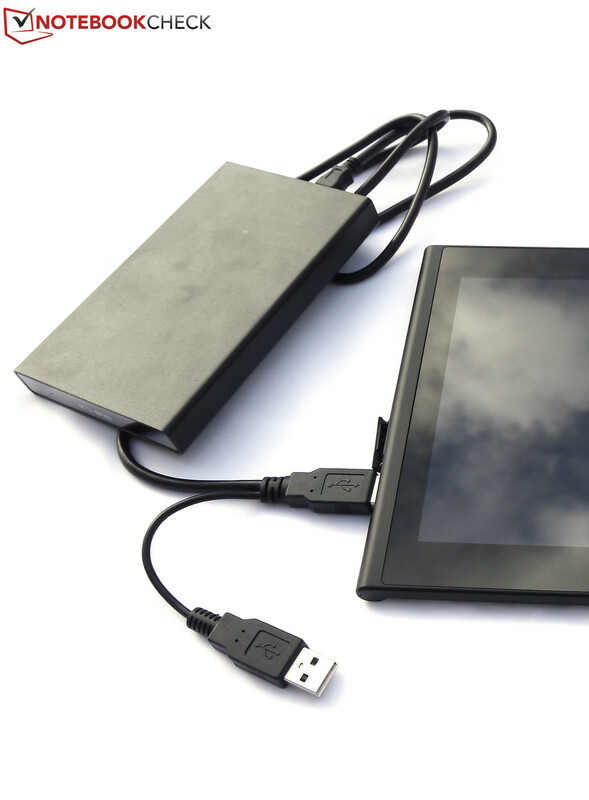 A 30 Wh battery and a low energy consumption promise good endurance for the ThinkPad Tablet 2. Maximum battery run time was determined with the BatteryEater Readers Test application and we got a very good score of 17 hours. However, such a run time is not realistic, since the brightness has to be set to the minimum, wireless connections disabled, and not many processes running. For instance, one of the possible scenarios where this can apply is when reading an E-book. The minimum runtime is obtained in the Classic Test of BatteryEater where the CPU and GPU are under maximum load. Moreover, the brightness is set to the maximum and Wi-Fi, Bluetooth as well as the GPS modules are enabled. In this scenario the tablet lasts 5 hours and 18 minutes. We determine a realistic run time with a brightness of 150 cd/m² (50 %) and wireless connections enabled. The Atom CPU has to render various web pages at 40 second intervals. The screen turns itself off after 7 hours and 39 minutes. Recharging the battery lasts a long time too though at 5.5 hours because the charger only delivers a maximum of 10.4 Watts. One can work even longer with the Dell Latitude 10 (60-Wh battery). The Dell device sets a new benchmark here with over 30 hours in idle mode, 16 hours of web surfing and almost 8 hours under full load. The HP Envy x2 (idle: 20.5 h / Wi-Fi: 12 h / full load: 7 h) beats our test device thanks to its battery in the dock. However, the longer run times of both of the competitors come with the trade-off of more weight: 0.82 kg (Dell) and 1.41 kg (HP). 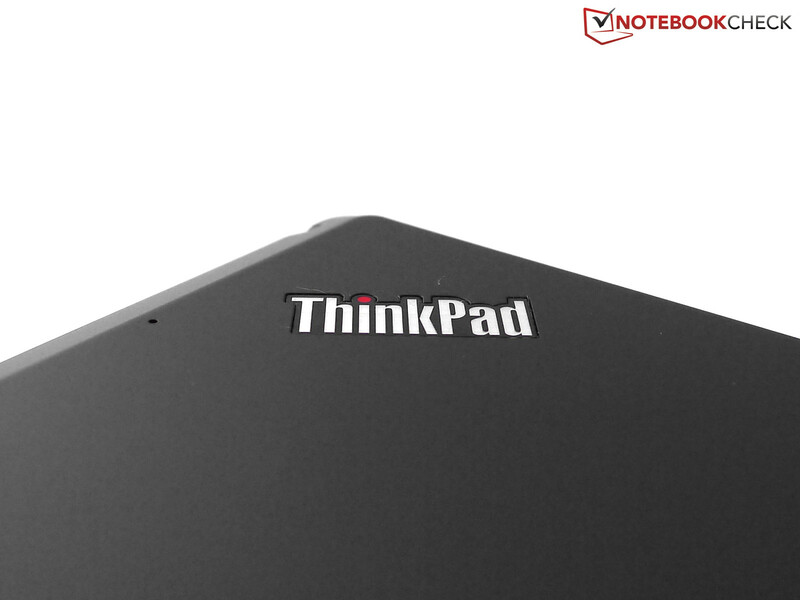 If you are looking for a light Windows tablet, then the Lenovo ThinkPad Tablet 2 provides a loyal companion with good battery life. 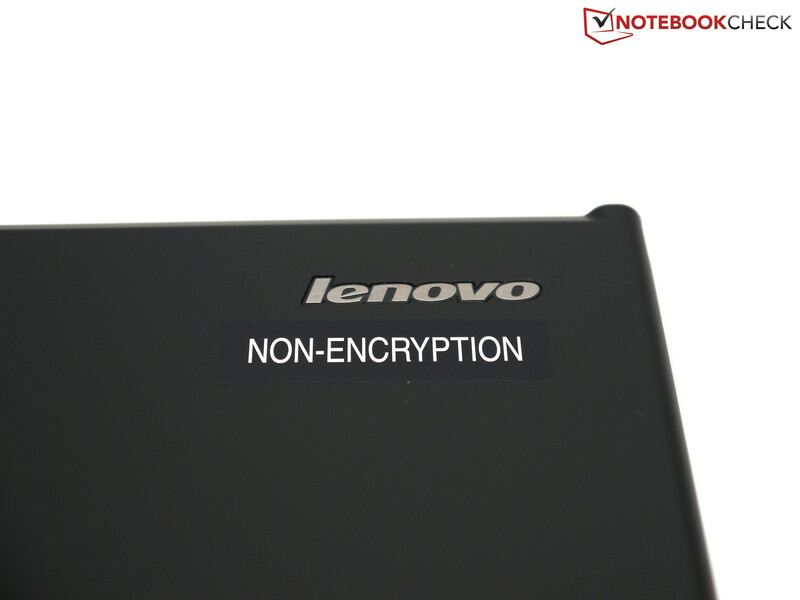 Business users on the other hand, purchase this table for the security module (TPM). However, one needs to make compromises in terms of manufacturing quality and the performance. The price of the configuration was set at 625 Euros (~$810) during the time of testing. 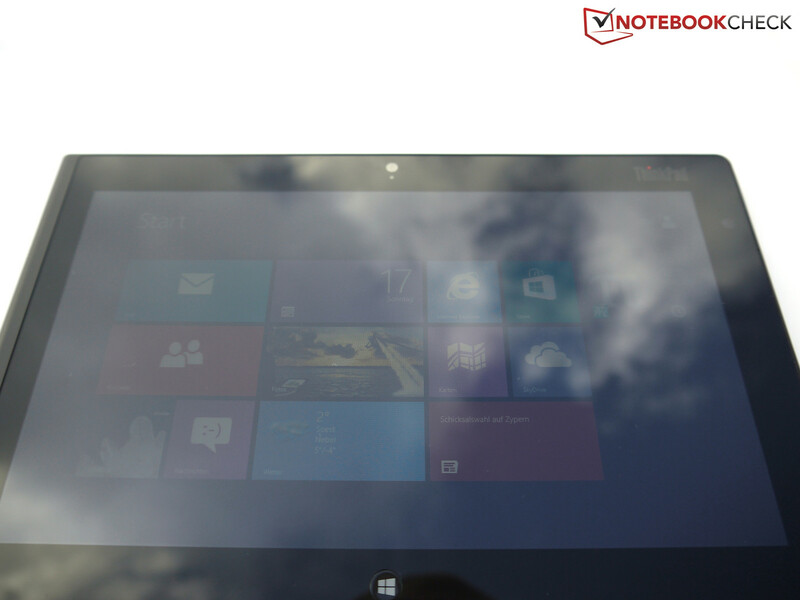 The Dell Latitude 10 and the HP Envy x2 are about on par with the Lenovo Tablet in terms of performance. However, these are better propositions with better battery life and better manufacturing quality at the cost of higher weight though. Furthermore, with the Dell Latitude 10, it is possible to still work well under very bright conditions thanks to the high display brightness. 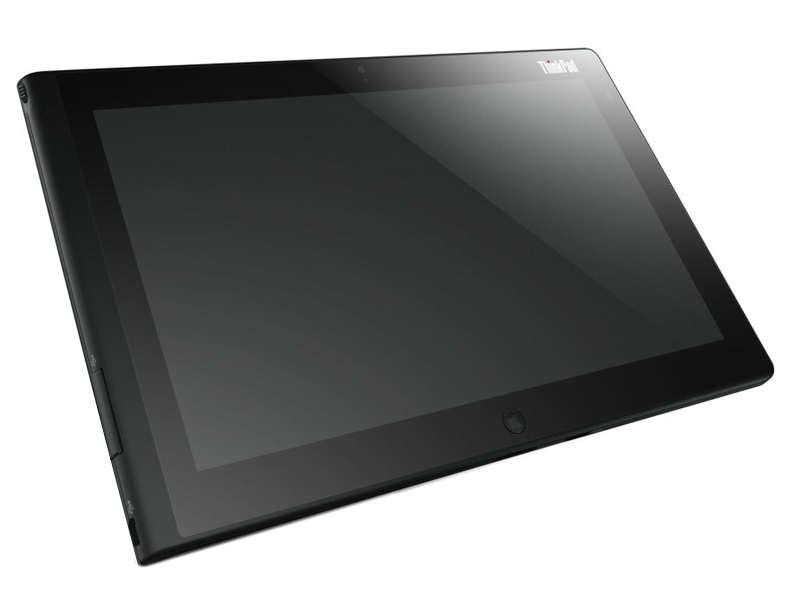 The Fujitsu Stylistic Q550 is also a tablet for the business customers. However, because of its older generation chip, it usually does not deliver enough performance anymore and cannot convince in terms of manufacturing quality either. 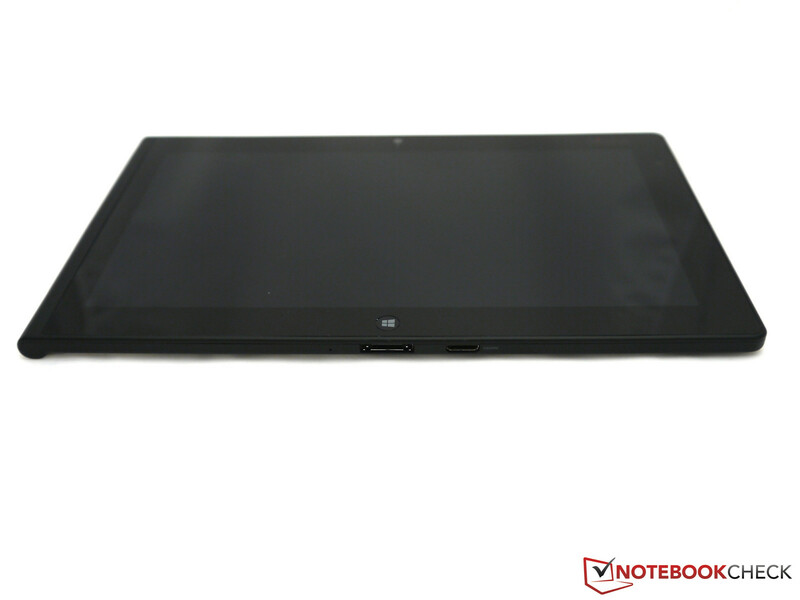 The advantages of those tablets are the non-reflecting display and the lower price. 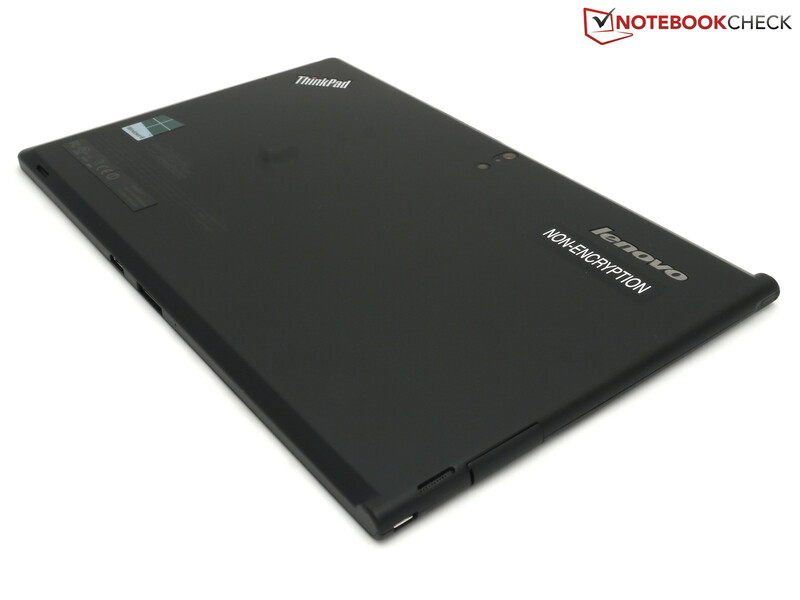 If someone is looking for high performance, then the ThinkPad Tablet 2 and all Atom powered devices do not live up to expectations, and one should go for an i3/i5 ULV chip like in the Samsung Series 7 XE700T1A. Other powerful business options are the Sony Vaio Duo 11, the Fujitsu Lifebook T902, the Fujitsu Stylistic Q702 and the Lenovo ThinkPad Twist. ...and records videos in Full HD. Next to the volume control there is the brightness sensor. The main camera takes surprisingly good pictures with a resolution of 8 MP. The LED flash that is included is disappointing though. However, the stereo speakers are convincing. 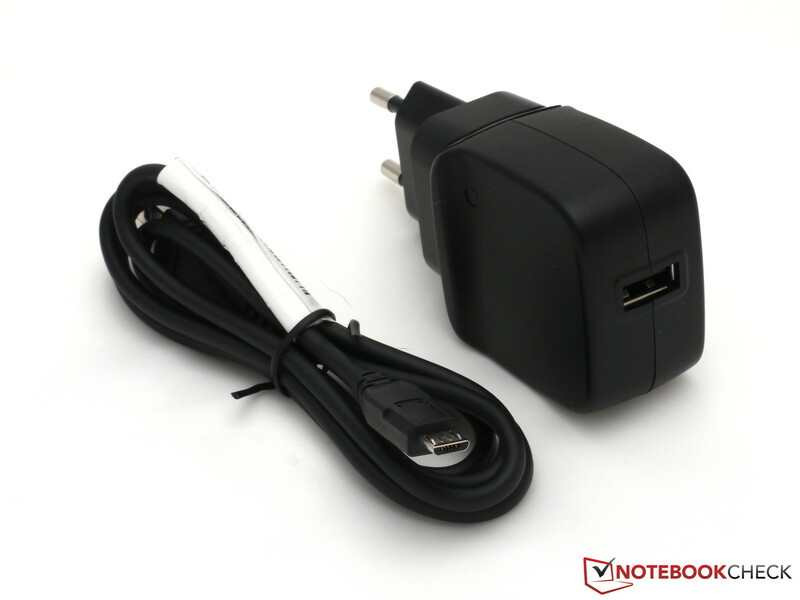 The battery is charged via the 10-Watt power supply. 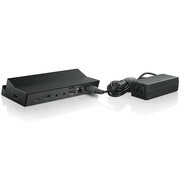 The tablet can also be charged via a 65 Watt power supply through the optional dock. Files on the eMMC memory are not encrypted. The memory can be extended via microSD cards. Additional ports are available through the optional dock. A 2.5-inch external hard drive requires additional power. ... a USB 2.0 port. ... This is another member of the Edge series. Only 538 grams for this? 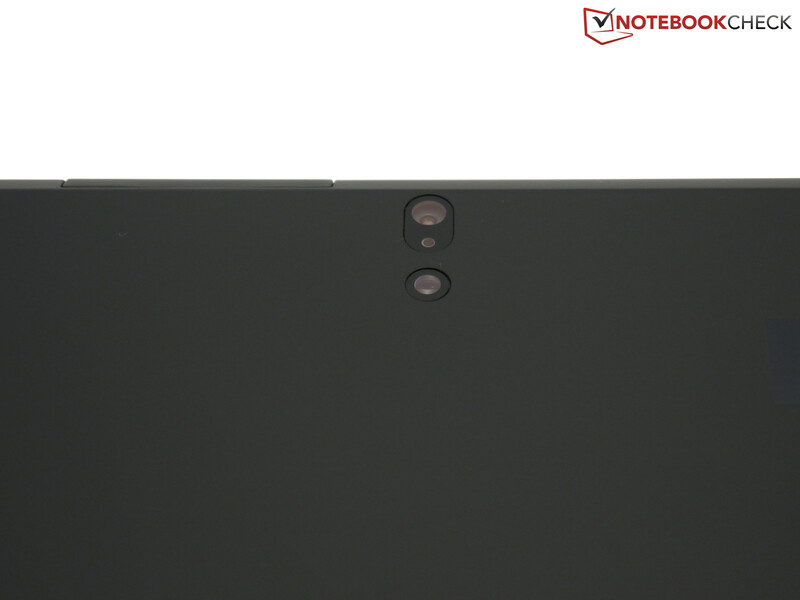 Naturally, this is the new Lenovo Tablet. ... 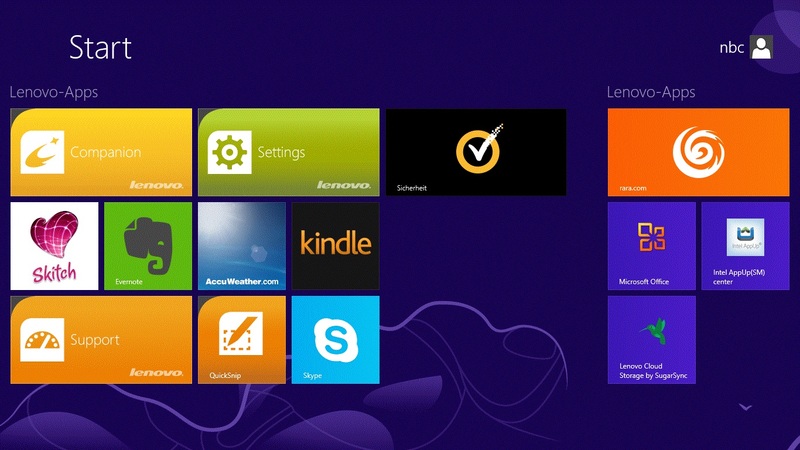 It is Windows 8 for x86 platforms. ... which affects the stability. Defects in the material also have an impact on the overall quality impression. ... which, however, leads to lots of reflections. The Windows button is a physical key. The surprisingly good main camera and the good performance using the touch interface. Better accessories to be included during delivery. At least a mini-HDMI to HDMI-Adapter would not be asking for too much. 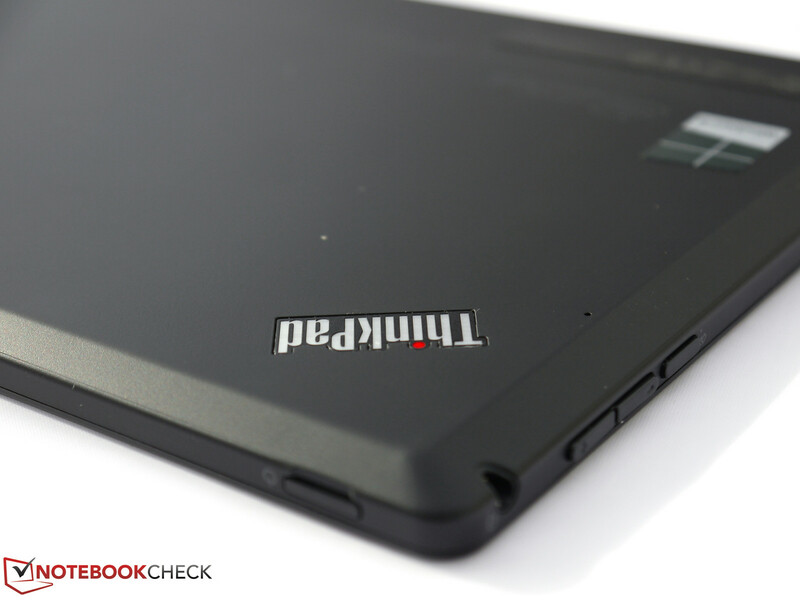 That Lenovo has not learnt anything from the first ThinkPad Tablet and that the workmanship is still not on par with other tablets.